Fire sprinklers reportedly prevented the flames from spreading, but they left the house with water damage. A youth group home operated by the Albertina Kerr Centers was damaged Monday evening, March 5, after a resident allegedly set a fire in his room. The Cornelius Fire Department received the alarm at the house near the intersection of North 10th Avenue and Holladay Street at 6:01 p.m. Monday, according to spokesman Matt Johnston. He said the fire was extinguished quickly, and there were no injuries. 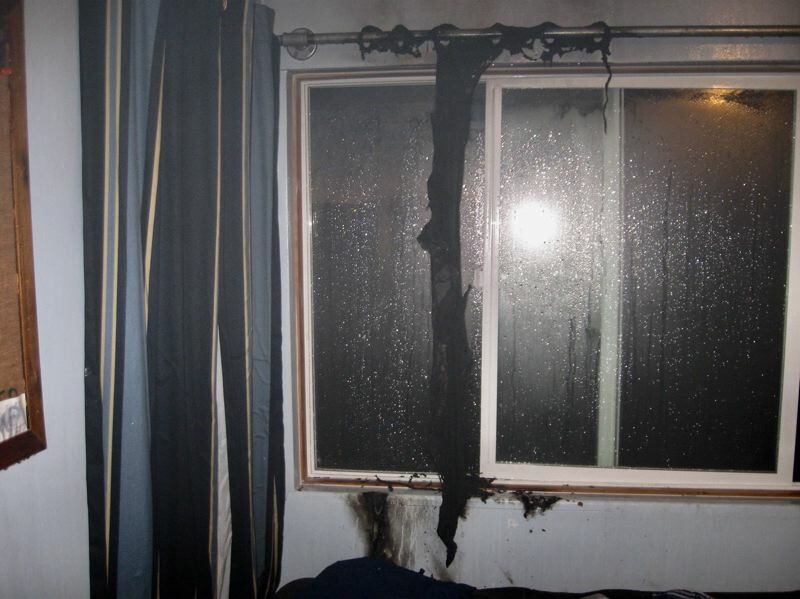 "The fire was actually put out by fire sprinklers," said Johnston, adding, "It pretty much just burned a curtain. That was all that was burned. The sprinklers put it out and stopped it." Jeff Carr, chief executive officer of the Albertina Kerr Centers, said the sprinklers "went off very quickly" and extinguished the fire before first responders even arrived. Albertina Kerr operates more than a dozen youth group homes and other mental health and treatment facilities across the Portland area. "All our homes have sprinkler systems in them," Carr said. Johnston said the sprinklers saved the home from becoming fully engulfed by the fire, quickly knocking down and putting out the flames before they could spread from the room where it started. "I don't think it even produced enough smoke to have a smoke inhalation issue," Johnston said. However, while the fire was prevented from causing much damage, the sprinklers left the house — particularly a basement area Johnston said had recently been remodeled — with significant water damage, according to Carr and Johnston. Carr said arrangements have been made for the group home's residents while crews work to remediate the damage. "The most important thing was everyone was OK," Carr said. Carr was unable to provide the number of people displaced, but he said multiple youth residents and staff members were present in the house at the time of the fire. A male resident of the facility is accused of starting the fire, according to the Washington County Sheriff's Office. Sgt. Bob Ray, a spokesman for the Sheriff's Office, said the juvenile suspect was arrested and taken to the Donald E. Long Juvenile Detention Center in Portland. As a matter of policy, the News-Times does not identify underage suspects unless they are being tried as adults. Carr said Albertina Kerr aims to have the facility open again next week.